Cinemovel African Screenings is back and is going to the Ivory Coast for the first edition of the Community Film Festival of Grand Bassam 2018, thanks to a partnership with the Abele Group. Cinemovel African Screenings is a longstanding project by Cinemovel Foundation in the African continent. The project consists in creating and promoting a local Communities Film Festival, accompanied by a social and health campaign. 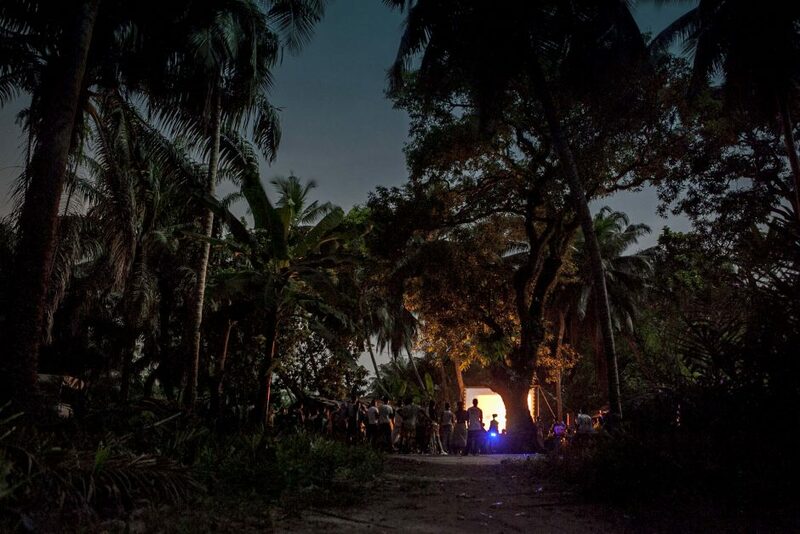 The project was born in Mozambique in 2001: from August to October, Cinemovel crossed the most remote areas of the country and screened Mozambican, European and American films for all ages, unveiling the socialising and evocative power of cinema. The Communities Film Festival is a unique opportunity to deliver a learning experience for local people thanks to the modern technologies offered by the new media and to support health and social campaigns tailored to their needs and ambitions. Each project aims to bring the local community together: to share the universal experience of a film screening; to learn about each other and their needs as a community; to use the filmic language as a mean to convey important health and social messages; to acquire the necessary expertise to bring to life the following editions of the Communities Film Festival through the years, as the project won’t stop once Cinemovel troupe is gone. We are very happy and proud to hear about the work of our local troupe in Senegal that since the first Community Film Festival edition (2010) in Mboro Sur Mer, is now working on the 2018 Edition of Senegal Weurngeul Film. Please find more info about this project following this link and check out the Weurngeul Film report 2016.